Premiere Communications & Consulting proudly sponsored the Autism Society of North Carolina’s recent gala to help raise money for camp scholarships. We never miss an opportunity to support ASNC, which enhances the lives of individuals with autism, support their families, and educate communities. The 7th annual ‘Catwalk to Camp’ was a fun evening that showcased the talent of several individuals with autism. 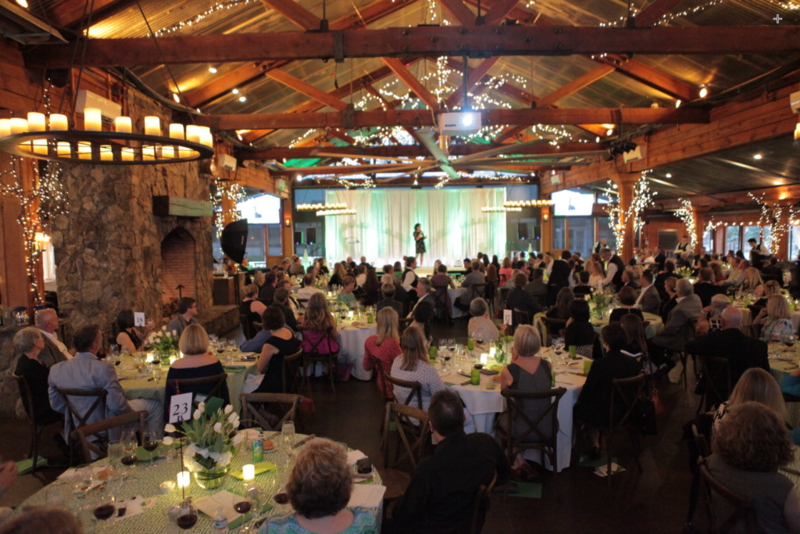 The gala took place in the beautiful Pavilions at Angus Barn on April 11th. The funds raised during this gala go to families who otherwise may not be able to financially send their child or loved-one to Camp Royall. Camp Royall is a summer camp in Chatham County for individuals with autism – a place where they are celebrated for the extraordinary people they are. Each year the Autism Society of North Carolina must raise $300,000 in scholarships to send campers to Camp Royall, where they will learn new skills and make friends, some of them for the first time! This is just one of the many special things ASNC does to enhance the lives of those with autism. Renee Chou of WRAL emceed and Jamie Valvano, daughter of late Coach Jim Valvano, inspired us all to live extraordinary lives. Hearing from campers and their parents about how this camp has changed their lives was powerful. It was a wonderful time and we’re proud to be apart of it. The ’67 Chevy Camaro we donated also had a prime spot out front, where it was admired by everyone. Renee Chou even stopped by to take a picture with it! We will be supporting ASNC at the Camp Royall Classic Golf Tournament on May 6th at the Governor’s Club in Chapel Hill, NC. Join us in supporting ASNC and enter your chance to win this sweet ride. There will be a limited number of raffle tickets, so don’t miss out! Details for the Camp Royall Class Golf Tournament and Chevy Camaro raffle here. The Autism Society of North Carolina has been an important part to the Premiere family year after year. Premiere’s leaders go beyond supporting ASNC financially and with their time – they help connect others with ASNC and even offer employment opportunities for adults on the spectrum. Premiere employees volunteer their time and energy throughout the year through annual work days to make this a year-round commitment. For more information about ASNC and Camp Royall, please visit https://www.autismsociety-nc.org/.